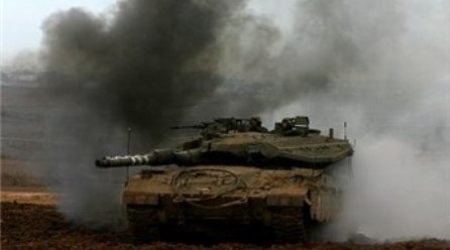 Israeli military vehicles crossed Gaza border on Thursday morning in a new breach of the ceasefire, witnesses reported. Local media said that six Israeli bulldozers entered the Abu Rida gate east of Khuza'a town in Khanyounis and leveled the Palestinian lands along the border. It also said, four Israeli bulldozers entered Johr Al-Dik through the Malaka gate east of Al-Zaytoun neighborhood east of Gaza reaching the Gaza Valley, pointing out that three bulldozers and four tanks stationed inside the military site. Similar incursions take place almost daily in the eastern and northern borders of the Gaza Strip in a clear violation of the cease-fire- agreement that Israel signed with the Palestinian resistance and brokered by Egypt in Cairo in last November. The Israeli soldiers shot and injured on Wednesday evening five Palestinians during clashes erupted between the Palestinian youths and the Israeli forces at the entrance of Al-Fawar camp south of Hebron, locals said. Witnesses reported that the Israeli forces shot the demonstrators with rubber bullets, leaving five injuries. A Large number of the Palestinian citizens suffered gas inhalation due to the teargas fired by the Israeli forces toward houses. Al-Fawar camp is located near the bypass road that connects between Beersheba and Hebron. A military barracks established at its entrance to serve the settlers and Israeli soldiers . Scores of Palestinian young men sustained injuries during violent clashes on Wednesday evening with the Israeli occupation forces (IOF) at the entrance to Al-Fawwar refugee camp, south of Al-Khalil city. Eyewitnesses told the Palestinian information center (PIC) that more than 16 young men suffered injuries when the IOF fired a hail of tear gas grenades and rubber bullets at them after they rallied near the only gas station in the camp. 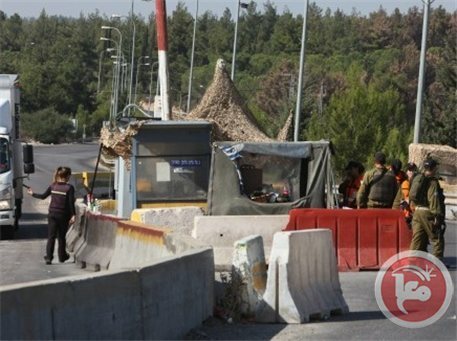 Following the events, the IOF blockaded the camp, closed its entrance and prevented the Palestinian cars from leaving it. Al-Fawwar refugee camp is located near the bypass road which links Beersheba with Al-Khalil and is used by Jewish settlers and the IOF. There is also a permanent Israeli military post at the entrance to the camp. 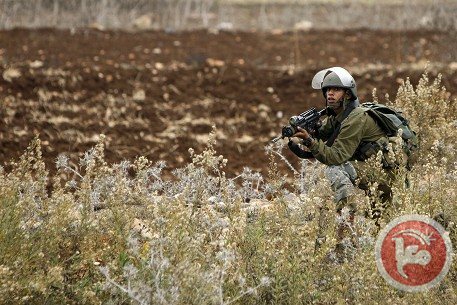 Witnesses told Ma'an that Israeli forces stationed east of Gaza City opened fire at a group of farmers in the area, injuring one person. An Israeli army spokeswoman said there was no "unusual activity" along the Gaza border. The Palestinian Center for Human Rights, an NGO based in Gaza, condemned an "excessive use of lethal force" by the Israeli army, adding artillery shells had also been heard hitting near where the two men were shot. Political advisor to the Palestinian premier Yousuf Rizqa strongly denounced Israel's persistence in its crimes against the Gazan people, the latest of which was its killing of a Palestinian young man at dawn Tuesday to the north of the besieged Gaza Strip. In a press statement to Quds Press, Rizqa stressed that Israel has exploited the chaotic situation in the region to escalate its aggression in the occupied Palestinian territories through more killings, settlement activities and violations against the Islamic holy sites. "The Zionist entity is trying to take advantage of the unstable conditions in the region to augment tension in Gaza and the West Bank and confuse the regional situation so as it can tilt the negotiations towards the security file alone without addressing the issue of lands or any other topics, which means that these talks are going to reach a deadlock," the political advisor warned. "Israel is living its best relations with some Arab parties, and there are news reports talking about a new type of convergence between certain Arab states and Israel to deal with different files," he underlined. Palestinian medical sources have reported that a Palestinian child was shot and injured by Israeli army fire at the entrance of the Al-Jalazoun refugee camp, north of the central West Bank city of Ramallah. 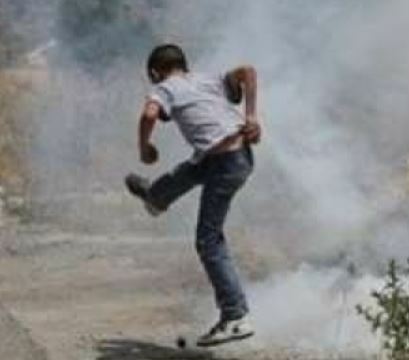 The sources said that the child, Yazan Mahmoud Al-‘Abed, 10, was shot by a rubber-coated metal bullet. 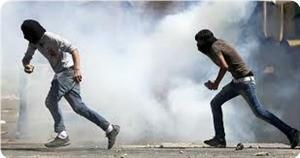 Local sources said that clashes took place after dozens of Israeli soldiers tried to invade it; local youths threw stones at the soldiers who fired gas bombs, rubber-coated metal bullet and gas bombs. 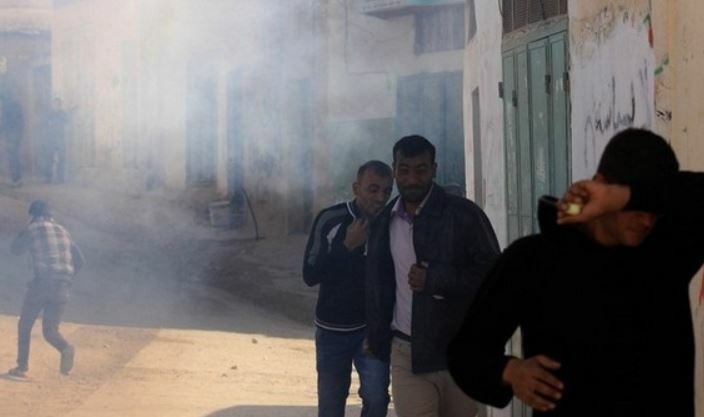 Several residents suffered the effects of teargas inhalation. The sources added that a Palestinian ambulance rushed to the refugee camp, but Israeli soldiers prevented the medical crew from reaching the wounded child. The Israeli occupation forces (IOF) reinforced their fortifications and built new defenses along the eastern borderline of Johr Addik area to the east of Gaza city. A field ranger from the Palestinian resistance told Quds Press that the IOF started on Tuesday morning to dig wide passageways or trenches behind the security fence to the east of Johr Addik area for the movement of their military vehicles without being seen by the Palestinians. He added that Israeli military bulldozers made mounds of dirt in front of these trenches to protect the artillery from being spotted and targeted by the Palestinian resistance. He noted that the Israeli army also set up some surface-to-surface missile launchers along this border area. Johr Addik residents also noticed active Israeli military moves under aerial cover in the area. They told Quds Press that Israeli bulldozers dug three-meter-deep trenches for the passage of military vehicles, noting that these trenches are about 10 meters away from the perimeter fence along their area. Palestinian medical sources have reported that several residents have been treated for the effects of teargas inhalation after Israeli soldiers invaded the Al-Khader town, south of the West Bank city of Bethlehem. Eyewitnesses have reported that a number of soldiers fired gas bombs and concussion grenades at a number of home in Abu Soud area, west of the al-Khader. They added that a sound of explosion was heard in the area, and that dozens of soldiers invaded Palestinian lands and searched them. In related news, soldiers installed a sudden roadblock near the Al-Jalazoun refugee camp, north of the central West Bank city of Ramallah. Local sources said that the soldiers stopped and searched dozens of Palestinian cars, and kidnapped five Palestinian youths who remained unidentified until the time of this report. In related news, dozens of extremist Israeli settlers hurled stones at Palestinian cars, southwest of the northern West Bank city of Jenin. The Palestinian News and Info Agency (WAFA) has reported that approximately 200 settlers closed a main Palestinian road close to the Mabo Dotan illegal settlement, built on lands that belong to residents of Ya’bod nearby village. WAFA added that the settlers hurled stones at Palestinian cars driving on the road the links between Ya’bod, Tulkarem city and nearby villages and towns. Local sources in the Nabi Samuel village, northwest of occupied East Jerusalem, have reported that a number of extremist Israeli settlers attacked and destroyed a car wash facility that belongs to a resident in the village. The attack is the fourth of its kind in two months. Resident Anas Adel Obeid, 33, stated that his facility is the only source of livelihood to 12 family members, the Radio Bethlehem 2000 has reported. Obeid said that during this attack, and all three previous attacks, the settlers damaged water tanks and threw them onto the ground, destroyed pipelines and other equipment. “The nature of these attacks indicate that the assailants are watching us, as they wait until we leave the place and reach home before they carry their attacks out”, he said, “Several residents repeatedly saw the settlers observing the facility, and walking around it”. “The village is subject to frequent attacks by extremist settlers’ groups, and repeated Israeli military invasions, it also includes the Samuel Tomb, and a synagogue”, Obeid added. The village fell under Israeli military occupation in 1967 during the 6-day war when Israel occupied the West Bank, East Jerusalem and the Gaza Strip. Approximately 300 Palestinians, holders of Palestinian ID cards, inhabit the village that became isolated from the West Bank after Israel built its illegal Annexation Wall several years ago. Palestinians who wish to enter the village are required to file for a permit at the Israeli District Coordination Office. In the early hours of 1st October settlers from the settlement of Bracha set fire to two cars parked outside the house of Edrees Shehadeh in Huwwara. The family was woken at 2 a.m. by the noise of settlers setting fire to their car, parked among olive trees next to their house. The perpetrators ran away up the hill upon discovery and the residents managed to put out the fire. The other car, a white Fiat, was completely destroyed. A plastic bottle containing gas and a box of Israeli branded matches was found on the ground next to the car that was saved. This car was parked next to the children’s room, and the smoke from the fire could have harmed them if it had not been put out so quickly. In recent years 12 cars belonging to the family have been set alight. This attack forms part of a sustained campaign of intimidation against the village, which includes the 2002 murder of Adnan Shehadeh-Howwara, the 21 year old son of Edrees Shehadeh. Adnan was shot to death by a settler as he was standing on the roof of his family’s house. 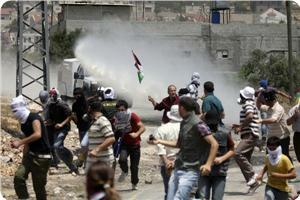 Other recent settler attacks to this village include stone-throwing at a house situated even closer to the settlement. Additionally more than 30 olive trees growing on the hill were damaged with axes, killing many of them and resulting in loss of livelihood for the owners. This article was originally published by the International Solidarity Movement Nablus team. View original post here. The Israeli occupation forces (IOF) at dawn Tuesday raided a number of Palestinian houses in the town of Silwan south of the Aqsa Mosque, and arrested a Jerusalemite young man. According to Jerusalemite sources, the IOF arrested Imad Abbasi, aged 26, after storming his house in Louza neighborhood in the town of Silwan. They noted that military special units, accompanied by sniffer dogs, masked soldiers and explosives experts blew the main door of Abbasi's house before raiding it. The Israeli soldiers raided Abbasi's bedroom and handcuffed him while other soldiers searched the house, before withdrawing accompanied by the citizen who was taken to an unknown destination. 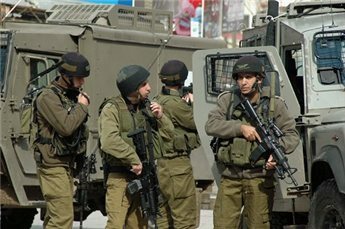 Wadi Hilweh Information Center in Silwan reported that the Israeli troops also raided two other Palestinian houses and searched them. The IOF on Monday evening broke into the house of Khalil Abbasi in Ein Louza Street in the town of Silwan, under the pretext of searching for weapons. Israeli occupation forces (IOF) showered Palestinian school students with teargas near Fawar refugee camp in Al-Khalil afternoon Monday. Eyewitnesses told the PIC that the school students marched form Dura town to Al-Khalil city and threw stones at soldiers and a military watchtower in what they called the day of rage against settlements and army barriers. They said that confrontations took place near Sanabur suburb, which is adjacent to the main road leading to Al-Khalil from Dura. Similar confrontations were reported on Sunday near Fawar refugee camp when young men demonstrated in support of the Aqsa Mosque. Following a pattern of ongoing hate crimes against Palestinians, four young Israeli extremists invaded a Christian Cemetery in the occupied Jerusalem and defaced 15 gravestones in the Evangelical Lutheran Cemetery, in the King David Tomb, on Sunday September 29. The four criminals, who were caught by Israeli Police personnel, are students of a Jewish Yeshiva, and range from 17 – 26 years of age. Two of the four fanatics, were previously caught by the police for hate crimes against Palestinians. The same two individuals belong to an extremist group of Israeli settlers, the Hilltop Youth Movement, an organization known for its deep seeded racism and numerous attacks against Palestinian lands and property. pervasive and comprehensive, it begs the question: does the Israeli government covertly hope to assure the continuation of racist crimes against Palestinians? 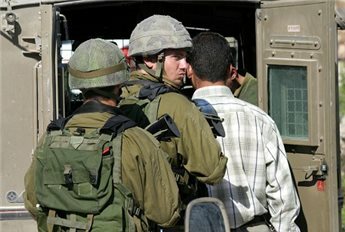 B’Tselem, an Israeli Information Center for Human Rights in the Occupied Territories, released a report in 2011 indicating that Israeli Police, the entity responsible for investigating settler violence and hate crimes against Palestinians, do not properly examine claims of violence, nor do they enforce punishment based on Israel penal law. From September 2000 to the end of 2011, B'Tselem submitted 352 complaints to the Israeli Police, demanding to know if investigations had been opened in cases ranging from gunfire, assault, destruction of property, forcing people off their land, threats, evictions, theft of crops, and torching of fields. Of the 352 racially charged hate crimes, only 29 resulted in an indictment. 137 files were closed with no measures being taken against anyone involved. In 80 cases, the police did not open an investigation, primarily because the person injured did not file a formal complaint, though the police are required by law to investigate every time they hear of a suspected crime. In 16 cases, B'Tselem received no response, one case was still being processed and in five cases, the authorities claimed that the file could not be located. B’Tselem’s report sheds light on a pattern of Israeli hate crimes against Palestinians going unpunished, time and time again. Their lack of investigations into violence could simply indicate the Israeli state’s disregard for crime– if it weren’t for the simultaneous criminalization of Palestinians. Israeli Occupation Force officers perform nightly raids on Palestinians towns and refugee camps, arresting young men and children as young as eleven years old. The arrests occur randomly, and for no apparent reason, forcing local Palestinians to live in a constant state of fear, even in the dead of night, when they are in the supposed safety of their own homes. A United Nations Children’s Fund (UNICEF) report published in March 2013, states “For some of the children what follows [the arrest] is a chaotic and frightening scene, in which furniture and windows are broken, accusations and verbal threats are shouted, and family members are forced to stand outside in their nightclothes as the accused child is forcibly removed from the home.” The report goes on to state that confessions are obtained from children through the use of intimidation, threats, and physical violence. The same report states that an average of two Palestinian children are arrested each day, and 700 children ages 12 to 17 are arrested, interrogated, and detained by Israeli army, police, and security agents each year. According to Israeli law, Palestinian children may be held in prison for four days without charges, and can be tried as adults starting at the age of 16. Israeli children, on the other hand, are not tried as adults until the age of 18. While all Palestinians are tried in military court, Israeli’s receive the privilege of trials in the civilian court system. Additionally, illegal settlers living in the occupied West Bank are granted the legal liberties of the Israeli judicial system, while Palestinians living in the same area legally, are not. Apart from the blatant unequal treatment of people with different nationalities, this system violates the principle of territoriality, according to which a single system of law must apply to all persons living in the same territory. The Israeli police and occupation force arrest Palestinian children for the simple purpose of instilling fear into their communities and criminalizing them, but allow Israeli adults who commit racist hate crimes to go unpunished. Those committing the hate crimes are not the only racist force at play: the Israeli Police and the Israeli Occupation Force play a paramount role in systemically encouraging hate crimes against Palestinians, and maintaining dis-symmetry in the racial and power dynamics of the legal system that deals with Israelis and Palestinians. On Monday, the Police apprehended two Israeli teenagers, 14 and 16 years of age, on suspicion of being involved in defacing and damaging eight Palestinian cars, near Nabi Saleh Graveyard, in the occupied Jerusalem. 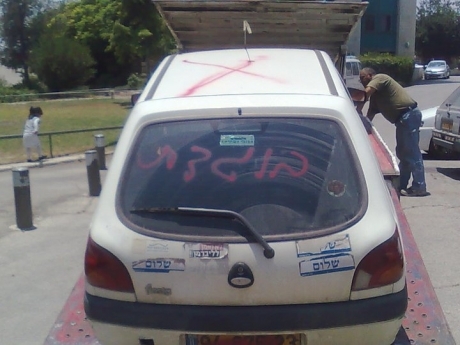 Earlier this week Israelis punctured the tires of 28 Palestinian cars, and wrote racist graffiti in Abu Ghosh. ’Price Tag’ graffiti was also found on the outer walls of a church in the Old City of Jerusalem. Last month, a Christian Monastery located in the Deir Jamal area between Jerusalem and Ramallah, was attacked by a Molotov cocktail. Racist graffiti, used by Price Tag extremist Israeli groups, was found on its exterior walls. In mid-June, a number of extremist settlers wrote racist graffiti on some graves at the Christian Greek Orthodox graveyard in Jaffa. On Friday June 14 Israeli extremists set ablaze two Palestinian cars in Sheikh Jarrah neighborhood, in occupied East Jerusalem, and spray painted racist graffiti. The extremists also wrote racist graffiti on some graves in the Christian Greek Orthodox graveyard in Jaffa and drew the Star of David on a number of graves. Extremists vandalized the wall of the home Khaled Kaboub, an Arab District Court Judge in Tel Aviv, with graffiti. There have been hundreds of similar attacks, that included burning and attempting to burn Churches and Mosques throughout Palestine. In addition to numerous attacks targeting both Islamic and Christian graveyards and places of worship, settlers uproot and burn hundreds of Palestinian trees and flood farmlands with waste-water. Those attacks are part of ongoing violations targeting Palestinians lands and livelihoods. 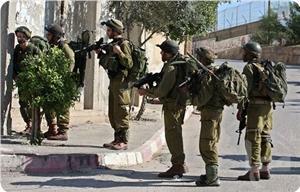 Israeli occupation forces raided Tuesday, the village of Beit Awa, southwest of Hebron. Local sources said that around 400 Israeli soldiers raided the village at 1:30 am and aggressively stormed and searched several houses in the village. Resident Abdul Qader Masalmeh said that military forces raided his house and rummaged through its contents, allegedly searching for his 32-year-old son Sameer. He said that an Israeli Intelligence officer threatened to kill his son if the latter didn't come to the house immediately. The father called his son Sameer and as soon as he arrived at the house, the soldiers arrested and took him to an unknown location. He added that the soldiers detained his other sons in one room at the house and assaulted them. All of the sons are liberated prisoners who were recently released from Israeli prisons. Israeli soldiers also arrested Omar Badawi Masalmeh, 29, and Thaer Abdul Qader Masalmeh, 32, and Mohammed Isamel al-Sweiti, 20, after raiding and searching their families' houses. Israeli soldiers stationed across the border with Gaza fired a number of shells into an area, east of Beit Hanoun, in the northern part of the Gaza Strip. The attack came after a Palestinian was killed, and another was injured in the area. Eyewitnesses said that Israeli tanks fired at least four shells, while the soldiers fired dozens of rounds of live ammunition in addition to firing flares. The shells landed and detonated in Bayyaret Al-Basha (Pasha Orchard), east of Beit Hanoun, in the northern part of the Gaza Strip. Israeli sources said that soldiers, in charge of operating surveillance systems across the border with Gaza, noticed what was described as “suspicious movement” close to the border fence. They then alerted soldiers of the Golani Brigade who saw two Palestinians “who appeared to be armed”, and opened fire at them reportedly after they entered what Israel describes as “special security zone”. 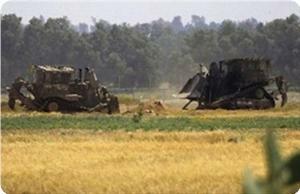 The army could not determine whether the two were hit, or if they managed to escape back into Gaza. Israel Ynetnews has reported that the army opened fire at two Palestinians who approached the fence in an attempt “to plant an explosive charge”. Earlier on Monday evening, one Palestinian was killed, and another was injured and kidnapped, by Israeli soldiers allegedly after crossing the border fence. Medical sources said that the slain Palestinian has been identified as Hweishel Ismael Abu Hweishel, from the Al-Boreij refugee camp, in central Gaza. 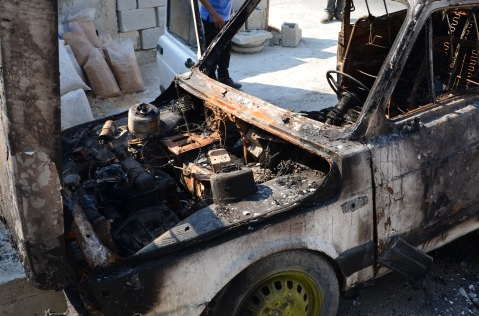 Tuesday at dawn, October 1, 2013, a number of extremist Israeli settlers burnt a Palestinian car, in Burin village, south of the northern West Bank city of Nablus. Israeli extremists also slashed tires of five cars in Silwan, in occupied Jerusalem. 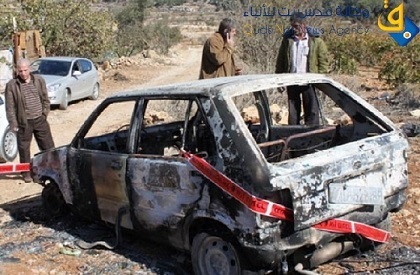 Ghassan Daghlas, in charge of Israeli Settlements File in the northern part of the West Bank, stated that the settlers infiltrated into the village, and burnt the car of resident Abdul-Athim Shihada. He added that such attacks witnessed a sharp escalation this week, targeting Palestinian lands and property in Nablus, mainly in its countryside. Daghlas further stated that, on Monday, extremist settlers attacked Palestinian olive orchards close to Khirbit Yanoun village, near Nablus. In related news, Israeli extremists slashed tires of five Palestinian cars, in Silwan town, south of the Al-Aqsa Mosque, in occupied East Jerusalem. The attack took place on Tuesday at dawn; the settlers also wrote racist graffiti, including “Price Tag” and “Death To Arabs”, on a wall near the parked cars. On Sunday at night, a group of extremist settlers damaged and defaced eight Palestinian cars, in Sheikh Jarrah, in East Jerusalem. Also on Sunday, a group of Israeli extremists broke into a Christian Cemetery in occupied Jerusalem, and destroyed several gravestones before Israeli police officers chased, and apprehended them. Nearly a week ago, Price Tag graffiti was found on the outer walls of a Church in the Old City of Jerusalem, and the settlers also punctured tires of 28 Palestinian cars, and wrote racist graffiti in Abu Ghosh. Monday evening [September 30, 2013] Israeli soldiers shot and killed a Palestinian man, injured and kidnapped another, near the border fence, in the northern part of the Gaza Strip. Israeli media sources said that the soldiers opened fire at two Palestinians who approached the border fence, and attempted to cut a hole in it before the army chased them. The sources added that the army did not mention anything about whether the Palestinians carried any weapons or explosives, an issue that indicates they might have been trying to enter Israeli territory searching for work. Israeli Ynet News has reported that the army initiated an investigation into the incident, under the assumption that the two “might have been trying to plant an explosive in the area”. 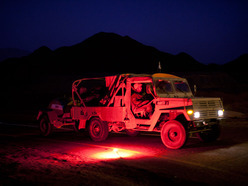 After searching the area, the army could not locate any explosives or weapons. Palestinian sources in Beit Hanoun, in northern Gaza, stated that the soldiers fired a number of shells into a land east of the town, and fired several flares, while a military chopper hovered overhead. Medical sources in Kamal Adwan Hospital, in the nearby town of Beit Lahia, stated that Palestinian medics located the body of Hweishel Ismael Abu Hweishel, in his thirties, and moved it to hospital. 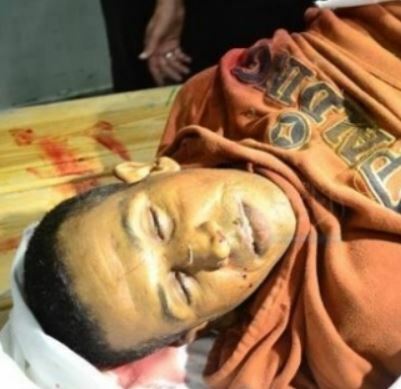 The slain resident is from Al-Mighraqa area, south of Gaza city. Israeli Occupation Force (IOF) uses feces of Israeli residents and settlers as a form of bio-warfare against Palestinian farmers in the villages of Wadi Fuqeen and Nahaleen. Additionally, the Israeli army has developed a large vehicle for spraying sewage waste and feces at Palestinian protestors and homes, reportedly, in the towns of Abu Dis, Aizariah, Bil’in and Nabi Saleh. 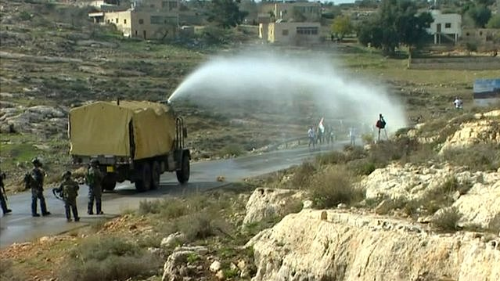 Spraying sewage waste has become so common a weapon used by the Israeli Army that the combination of sewage water, feces, and human urine has been named “skunk”. B'Tselem reports that ‘skunk’ and the vehicle used to disperse it, have been added to Israel's armory for crowd control. On 3 June of this year, the World Health Organization (WHO) reported that the wild poliovirus type 1 (WPV1) js present in sewage samples collected from Israel. Additionally, human feces contain endless forms of bacterial and biological contaminants. Given this information, the intentional use of sewage waste against Palestinians qualifies as bio-warfare. For several days, raw sewage from the illegal settlement of Beitar Illit has been contaminating Palestinian farmers’ fields in the village of Wadi Fuqeen. 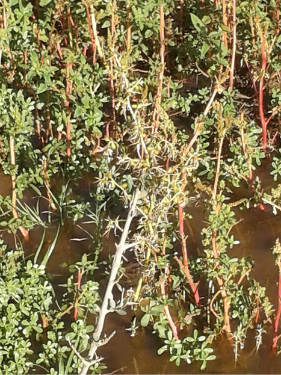 The effects of the sewage water include damage to crops, permanent poisoning of the land, and the potential of spreading viruses and diseases. The settlement of Beitar Illit, which was built in 1986, is now illegally occupied by 50,000 Israeli settlers. In 2006 the settlement began to dispose of its wastewater by dumping it on what remains of Wadi Fukin. As a result, 50-60 dunams (50,000 – 60,000 square meters) of agricultural land is now unusable, olive and almond crops have been ruined, and the spring water is unsafe to drink. The residents and farmers, who are heavily dependent on fresh spring water and fertile soil, are now forced to purchase water from an Israeli company that steals and resells water from an aquifer located beneath the Palestinian city of Bethlehem. The Palestinian residents of the neighboring Nahaleen are facing the same indignity and crime against their water, land, and health. Tragically, Wadi Fuqeen and Nahaleen, which have been suffering these outflows of sewage about twice a week since 2006, are not the only Palestinian villages targeted with Israeli sewage. Locals in the village of Abu Dis reported on September 25 that Israeli Occupation Force officials drove a large vehicle containing feces around main streets, and sprayed the sewage water ‘everywhere’ and on everything. A similar story of intentional sewage spraying is reported to have occurred in the nearby town of Aizariah on September 20. In March of this year, Middle East Monitor reported that Israeli forces sprayed Palestinian homes in the village of Nabi Saleh as a punishment for organizing weekly protests against the Apartheid Wall. 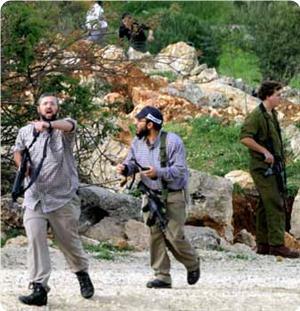 The IOF is increasing its use of feces as a weapon of bio-warfare, annexation, and occupation. The Bethlehem Arab Society for Rehabilitation's community program proposed to Palestinian institutions an agreement that aims to improve Palestinians' views and treatment of people with disabilities. 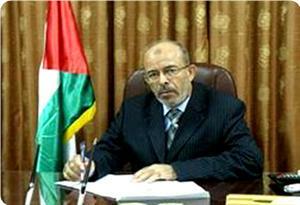 The agreement is three-pronged, first, it works to create institutional awareness of people with disabilities, secondly, it actively works to raise awareness within Palestinian communities, and thirdly, it is dedicated to ensuring the equal and just treatment of all people, especially those with disabilities. Following a visit by a delegation from the Community Rehabilitation Program and the Palestinian General Union for People with Disabilities, the Palestine News Network (PNN) eagerly signed the agreement. PNN is committed to the campaign's aim to shift the Palestinian society's view of persons with disabilities away from being perceived as special humanitarian cases, and towards recognizing them as people who have full rights and obligations and as an essential component of the Palestinian society. Monjed Jadou, PNN General Director, said that PNN has contributed programs and articles, in co-operation with a number of other institutions, that are concerned with the rights and well-being of people with disabilities. Members of the community rehabilitation program expressed their gratitude to PNN for its cooperation. 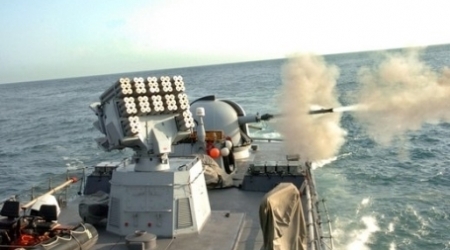 The Israeli army decided to deploy some of these ships on the maritime border with the Gaza Strip to prevent infiltration and maintain security at border, it added. This generation is considered the most advanced type of ships in the Israeli naval technology. They are characterized by their high maneuver ability, and equipped with a series of advanced military missiles. The Israeli army command declared the destroyed Khirbat Makhoul hamlet a closed military zone on Monday to preempt a solidarity rally. Aref Daraghme, the chairman of Wadi Al-Malih municipality, said that Israeli occupation forces (IOF) set up roadblocks at roads leading to the hamlet and in its vicinity. He pointed to intensified presence of IOF soldiers to block arrival of solidarity activists and journalists to the hamlet that was destroyed three times by the IOF over the past couple of weeks. Hamas movement strongly condemned the repeated attacks and demolition of Khirbat Makhoul hamlet in the northern Jordan Valley at the hands of Israeli occupation forces (IOF). Hamas said in a press release on Monday that the Israeli act was a “desperate attempt” to force the inhabitants to abandon their land, adding that it would not succeed in dissuading the Palestinian people from defending their land. The IOF declared the hamlet a closed military zone after its tanks advanced into its vicinity and blocked entry into the area. Hamas warned of “serious consequences” for the Israeli crimes mainly stealing Palestinian land and Judaizing it. The movement hailed the Palestinian people’s steadfastness on their land and called on them to remain steadfast and to defend their land and holy shrines. Dozens of Israeli soldiers invaded Abu Dis town, east of occupied Jerusalem, and clashed with local youths who hurled stones and empty bottles at them. Hani Halabiyya, Coordinator of the Popular Committee and the Wall and Settlements in Abu Dis, told the Radio Bethlehem 2000 that the army invaded the town from an area close to a building owned by the Al-Quds Open University. He added that the army carried construction materials, and tried to close a hole that was dug by local youths in the Annexation Wall, in their town, last Friday. The soldiers had to retreat from the town without being able to close the hole after dozens of residents hurled stones and empty bottles at them. Soldiers fired dozens of gas bombs, concussion grenades and rubber-coated metal bullets at the residents; some residents suffered the effects of teargas inhalation. In related news, soldiers kidnapped a Palestinian child in Beit Ummar, north of the southern West Bank city of Hebron. Mohammad Awad, Coordinator of the Popular Committee against the Wall and Settlements in Beit Ummar, stated that the soldiers kidnapped Mohammad Sabarna, 14, as he was heading home from school, and took him to the Etzion military base. A number of Israeli extremists invaded a Christian Cemetery in occupied Jerusalem, and destroyed several gravestones before Israeli police officers chased, and apprehended them. The Radio Bethlehem 2000 has reported that four students of a Jewish Yeshiva in the area carried out the attack. Their ages are between 17 and 26. It added that the assailants destroyed 15 gravestones in the Evangelical Lutheran Cemetery in the King David Tomb. The Israeli Police said that two of the apprehended Israeli assailants are members of the Hilltop Youth Movement, an extremist group of Israeli settlers responsible for numerous attacks against Palestinian lands and property. The two have previously been apprehended by the Israeli Police in the West Bank, and were ordered out of the area due to their illegal activities, but they violated the order and the police failed to apprehend them. Earlier on Monday, the Police apprehended two Israeli teenagers, 14 and 16 years of age, on suspicion of being involved in defacing and damaging eight Palestinian cars, near Nabi Saleh Graveyard, in occupied Jerusalem. Nearly a week ago, Price Tag graffiti was also found on the outer walls of a Church in the Old City of Jerusalem, punctured tires of 28 Palestinian cars, and wrote racist graffiti in Abu Ghosh. A month ago, a Christian Monastery in the Deir Jamal area, between Jerusalem and Ramla, was attacked by a Molotov cocktail, while racist graffiti, used by Price Tag extremist Israeli groups, were found on its exterior walls, the Arabs48 news Website has reported. In mid-June, a number of extremist settlers wrote racist graffiti on some graves at the Christian Greek Orthodox graveyard in Jaffa [on Wednesday at night]. On Friday [June 14 2013] Israeli extremists set ablaze two Palestinian cars in Sheikh Jarrah neighborhood, in occupied East Jerusalem, and wrote racist graffiti, including Price Tag. 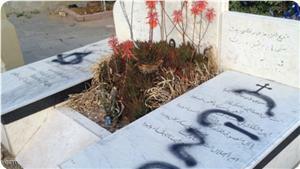 The extremists also wrote racist graffiti on some graves in the Christian Greek Orthodox graveyard in Jaffa. They further wrote “Price Tag”, “Revenge”, and drew the Star of David on a number of graves. Racist graffiti was also found on a wall of a building inhabited by the head of the Orthodox Society in Jaffa, and even wrote graffiti on the wall of the home Khaled Kaboub, an Arab District Court Judge in Tel Aviv. There have been hundreds of similar attacks, that also included burning and trying to burn Churches and Mosques in different part of Palestine, in addition to numerous attacks targeting both Islamic and Christian graveyards. Those attacks are part of ongoing violations that also targeted Palestinians lands and orchards in which the settlers uprooted and burnt hundreds of Palestinian trees, and flooded farmlands with waste-water. Two Palestinian institutions condemned on Monday the Jewish desecration of a Christian cemetery in occupied Jerusalem. Four Jewish fanatics of the so-called “Price Tag” gangs destroyed on Sunday the headstones of 15 graves in the Christian cemetery in occupied Jerusalem in a Wakf land owned by the Dajani family. Other groups of Jewish fanatics attacked and damaged eight cars owned by Arabs in Sheikh Jarrah neighborhood in occupied Jerusalem also on Sunday. The Aqsa Foundation for Endowment and Heritage described in a statement the attack on the Christian cemetery as “terrorist and cowardly”. It said that the Israeli occupation authority was responsible for not adopting firm positions against those gangs, which encouraged them to launch more attacks. The foundation said that the Jewish attacks on Islamic and Christian holy places in Palestine would only boost “our insistence on preserving and defending them”. For its part, the Islamic Christian commission in support of Jerusalem and holy sites called for an end to such practices, noting that attacks on the Islamic and Christian graveyards had increased recently. It said that the Judaization schemes in Jerusalem were on the rise as evident in the building of synagogues, Talmudic parks, and public utilities coupled with the forced dislocation of Jerusalemites and razing their homes and the daily storming of the holy Aqsa Mosque. Israeli forces on Sunday dismantled a protest tent in Hebron set up by relatives of Palestinian detainee Mahmoud Salih al-Sharha, who is suffering from cancer. The Palestinian Prisoner Club in Hebron said five Israeli military vehicles raided the protest tent, which was set up in front of the al-Sharha family home in Hebron. Israeli forces dismantled the tent and assaulted several protesters, the group said. Al-Sharha was diagnosed with a tumor two years ago and has still not received any treatment. He has been jailed 11 years and is serving a 22-year sentence. An Israeli settler ran over a Palestinian worker on Sunday morning to the west of Bethlehem in southern West Bank. 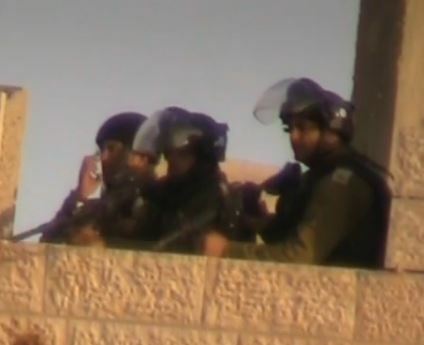 Local sources said the incident occurred in the street that connects Wad Fokin with Hosan town in Bethlehem near the Apartheid Wall. The settler escaped from the scene, added the source. 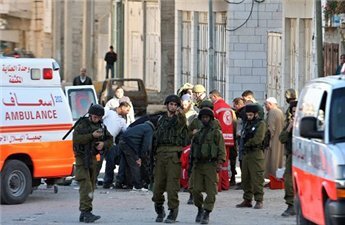 Hamdan Thib, 38, sustained moderate injuries and was transferred to one of the Hebron hospitals for treatment, according to medical sources. Settlers late Saturday attacked and sabotaged a Palestinian-owned car wash shop as well as stole its equipments in the village of Nabi Samuel, northwest of Jerusalem, according to the shop owner. 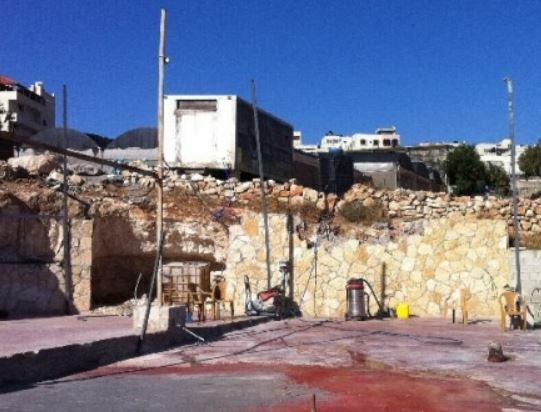 The owner, Anas Obaid, said that settlers from the illegal Israeli settlement of Ramout, built illegally on the village land, destroyed and stole heavy equipments from the shop for the second time during one month. Settlers previously destroyed the main water tank as well as cut off the main electricity cables in the shop. Obaid said that he was handed a demolition notice for his shop under the pretext of the shop being built near a road used by settlers but he was able to cancel the demolition order at the Israeli high court. He said that settlers take advantage of the fact that his shop is closed on Saturdays to carry out their attacks on the shop which is the considered the source of living of around five Palestinian families. Israeli settlers Sunday damaged around eight Palestinian-owned cars in the East Jerusalem's Sheikh Jarrah neighborhood, according to WAFA correspondent. He said that settlers used a screw driver to damage the cars, causing their owners finical damage. To be noted, settlers who took over and turned several Palestinian-owned houses in the neighborhood into settlement outposts attack Palestinian residents regularly in an attempt to force them to leave their homes which several settlement association claim their ownership of as a prelude to judaize the whole neighborhood. 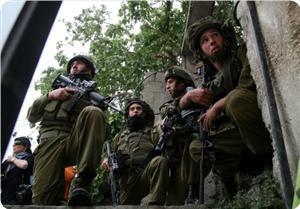 Israeli forces detained eight Palestinians in overnight arrest raids, locals and Israel's army said. In Nablus, Israeli forces detained Munjed Yahya Mabruk 26, from the al-Makhfiya area, whose father is in the Palestinian Preventive Security forces. They also detained Ahmad Khalil, 40, from Balata refugee camp, Ahmad Muneir al-Asmar, 24, from Askar, and Raed Turki Khader, 26, from Deir Sharaf. An Israeli army spokeswoman said four people were detained in the Nablus area, one in Aboud village near Ramallah, one in Jayyus, one in Dhahriya, and one in Deir Abu Mashal. All suspects were detained for involvement in "illegal activity," the spokeswoman added, without providing further details. 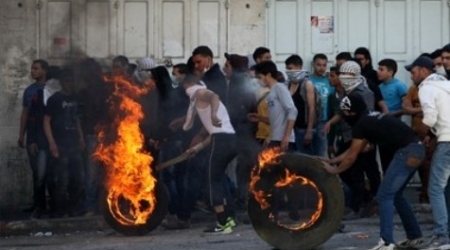 Clashes erupted on Friday in Nablus following Palestinian protests against the Israeli separation wall near Huwwara checkpoint. Israeli forces injured four Palestinians with rubber-coated steel bullets during the protests, including Taghrid Mohammad Faris Adieli, 32, and Fouad Adieli.